Out and About: Aerobatic Stunt Flying! 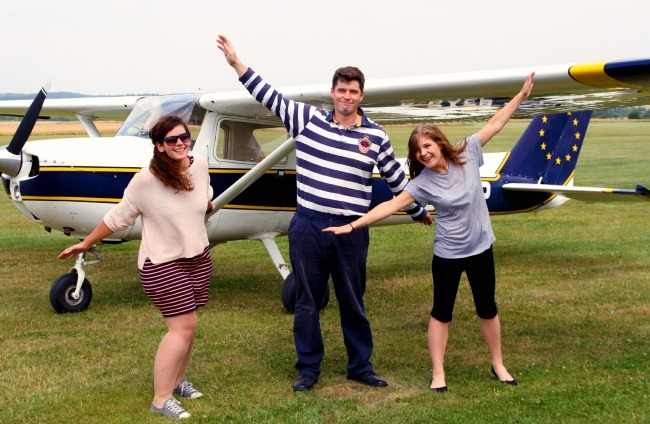 We sent Rachael and Jess to shoot some footage of one of our most exciting experiences – Aerobatic Stunt Flying. Read all about it – and watch the video! 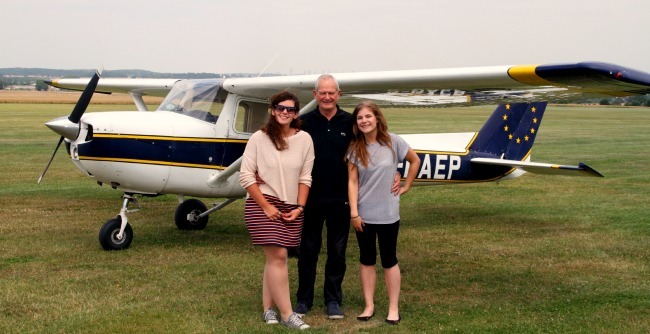 “A while ago, Rachael and I had the pleasure of visiting Peterborough Flying Club to take some videos of aerobatic stunt flying for our website and YouTube channel. When we first walked in, we met all the pilots and staff and they couldn’t have been more helpful from the get go. 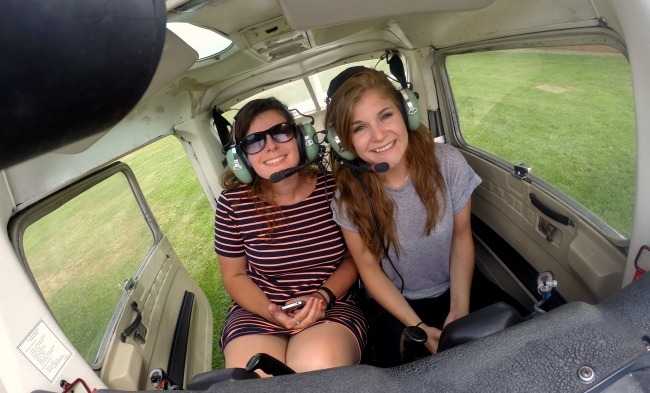 We spent about half an hour placing the cameras on and inside the plane, before I got strapped in and set off, while Rachael filmed from the ground to get some shots of the plane in the air. Once in the air, me and the pilot were communicating via our snazzy Top Gun style headsets, and he was very good at making sure I was alright and not scared. I reassured him I was a brave warrior and was more excited than scared! He then advised me on what was about to happen. “OK – so we’re going to do a 360 spin, a few flips and a nosedive,” he said, while I responded (fearlessly) with “What, all at once?!”. He said yes and off we went. It felt like we were on a rollercoaster, flipping through the air, and seeing the horizon and ground below us spinning around was amazing. At one point we did a nose dive towards the ground and the pilot turned the engine off and looked at me for a second. My obvious response (as you’ll be able to see in the video) was the clutching of my heart and a “Are you trying to kill me? !” … in a totally cool, nonchalant, fearless way of course. Check out our incredible range of flying experiences!